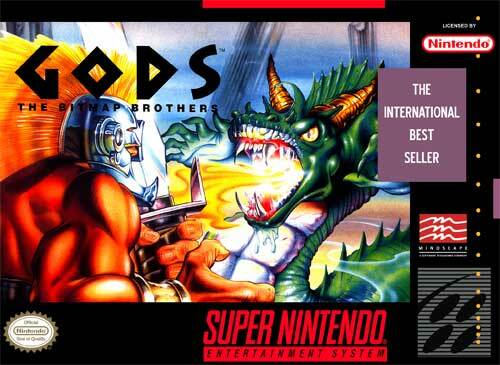 Gods for Super Nintendo has you play as Hercules, the only gladiator capable of taking on what the City of the Gods has to offer. If you should defeat whatever they throw your way, you will become immortal and permanently reside in the City of the Gods. Through 12 unique worlds, your courage and strength will be put to the test by hordes of unspeakable evil and brutal beasts that have been sent to see that you do not succeed. You'll have 15 weapons and 20 potions at your disposal.